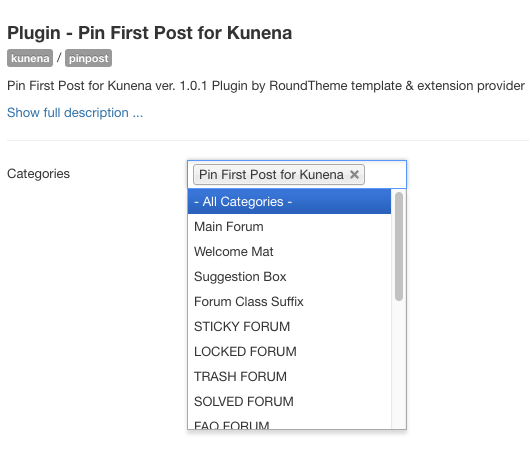 "Pin first post for Kunena". The sticking is automatic in all selected categories (and thereby topics)? Or there is a button/option/etc. which controlling its behavior...? And only can I pin only the first comment of topic? 1 year 10 months ago	#508 by Eugene S.
If you select some categories, all topics from these categories will get pinned post. Yes, the only first message can be pinned. P.S. Note: this plugin is designed for Kunena 4.x.